As a kid, I enjoyed looking at the interesting books in my dad’s home library, which included a paperback edition of Bram Stoker’s Dracula that featured an unusually creepy cover illustration as well as my dad’s copy of the NASA Treasury Apollo: Expeditions to the Moon. 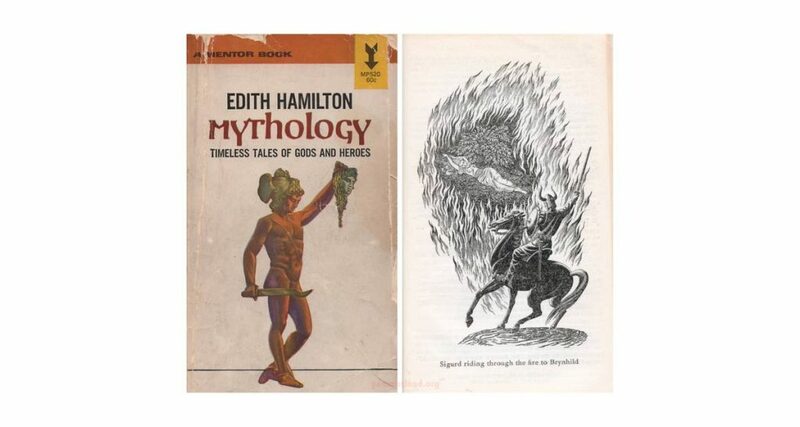 Another of my favorites was Edith Hamilton’s Mythology, a book which I admittedly didn’t spend as much time reading as I did admiring the cover art. My dad had the Mentor paperback edition (published somewhere around the mid-1960s), which featured a front cover depiction of Perseus holding Medusa’s head aloft in one hand and his sword in the other. 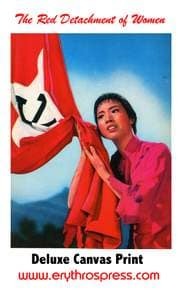 It’s a striking illustration that made an impression upon me at a young age. Dad gave me his Apollo: Expeditions to the Moon some years ago, which is a gift that I still appreciate. I don’t think I ever expressed much of an interest in the Mythology book, though, and it had largely slipped from my memory until I found a well-read copy at a thrift store in 2017. Not only was it the Mentor edition with the cover image that I remembered from childhood, but it was also replete with highlighting, underlining, and handwritten notes left by multiple readers in years prior. I especially like old books like this that combine the knowledge of the author with that of its readers, so I was happy to add the book to my own library. 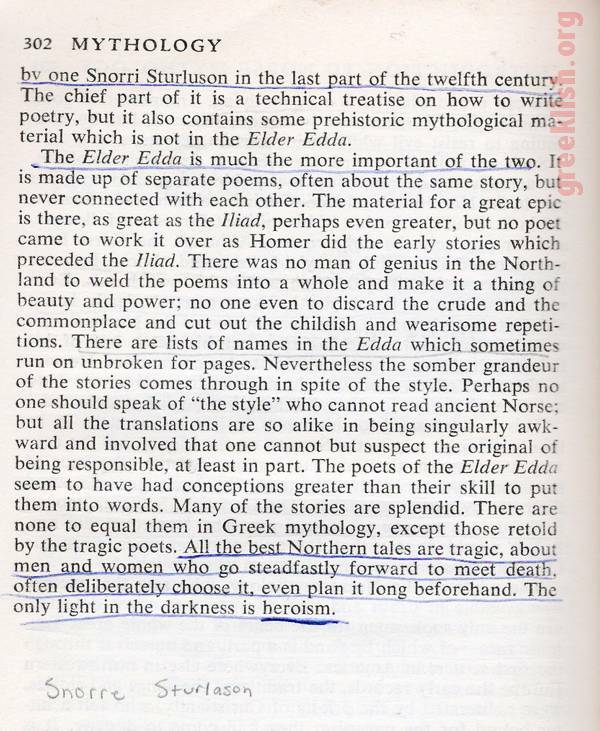 Hamilton’s fleeting reference to the Icelander Snorri Sturluson occurs in Hamilton’s introductory essay for a section on Norse mythology (entitled “The Mythology of the Norsemen”). It is a short section, for sure, comprising only about 15 pages or so of Hamilton’s entire survey of mythology. 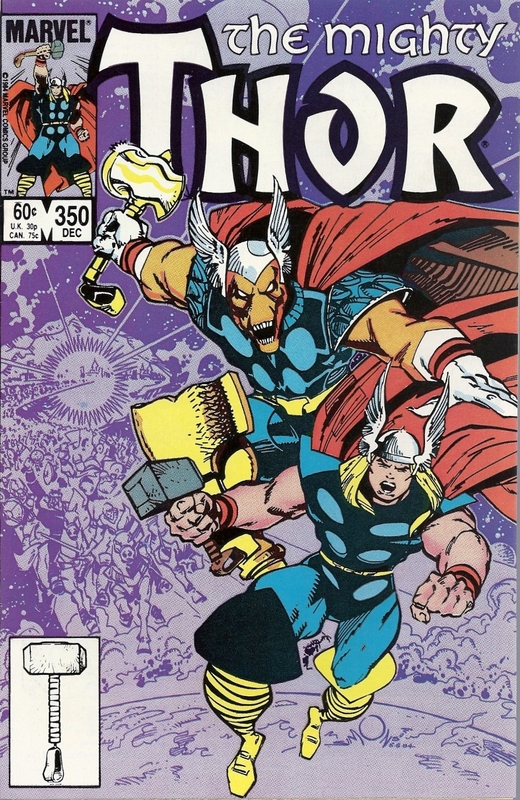 From a young age, I have appreciated Nose mythology, due in large part to Walt Simonson’s run on The Mighty Thor as well as the copy of D’Aulaire’s Book of Norse Myths that was in the library collection of my elementary school in Lexington, Kentucky. In Hamilton’s essay, lyrical passages from the Elder Edda are woven into Hamilton’s general overview of Norse mythology. Neither Sturluson himself nor the Younger Edda garner any further mention, which still left me with some questions. It’s not surprising that in Hamilton’s era, there isn’t much to share on Sturluson. After all, the book was compiled in the age of dense volumes and card catalogs as opposed to lightning-fast Google results. But even on the ‘net, there appears to be a lack of real specifics with regard to Sturluson’s life. Of course, he walked the earth almost a millennium ago, from 1179 to 1241. This was the same era as that of Saint Francis of Assisi (1181 – 1226), although it can be effectively argued at Saint Francis was decidedly better known in his lifetime and celebrated more widely in death compared to Sturluson. But, where some online biographical sketches of Snorri Sturluson lead a disclaimer such as, “(l)ittle definitive is known of Sturluson’s life, and much of what is known is subject to dispute and conjecture,” others, like the Wikipedia entry for Sturluson, try to present as much information as possible. There are some consistent points about Sturluson upon which everyone agrees. 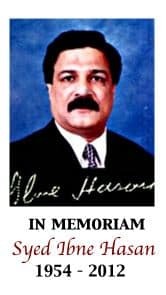 He was, as the Wikipedia entry notes, a historian, a poet, and a politician. Among his works are the Younger Edda (or Prose Edda); Heimskringla a collection of sagas about the Norwegian kings of the eighth century through the twelfth century; and possible Egil’s Saga, a history of the clan of Egill Skallagrímsson. Sturluson’s legacy is somewhat controversial in the modern era, given some political and cultural intricacies associated with Iceland’s independence from Denmark. In the course of my relatively brief time researching Snorri Sturluson, one of the better summaries of his literary legacy appears in the introductory text to Kevin Crossley-Holland’s book The Norse Myths, in which he identifies Sturluson as “(t)he finest man of letters that Iceland ever produced.” Crossley-Holland also discusses Sturluson’s contributions in the context of cultural and social developments in Iceland during his lifetime. 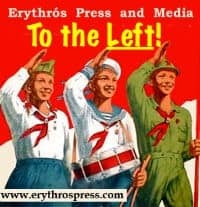 Iceland had democratically adopted Christianity in 1000 ad, and the accompanying exposure to new European literary modes was eroding both the use of the old scaldic technique and familiarity with the kennings. Snorri’s reaction was to write a handbook to encourage poets to compose in the scaldic style – a kind of North European equivalent of Aristotle’s Poetics. The Prose Edda, written in about 1220, includes rules of poetic diction, quotes extensively from scaldic poems that would otherwise be lost to us, displays familiarity with almost all the poems in the Elder Edda and retells in full many of the myths that lie behind the kennings in scaldic poetry. One section in particular, ‘Gylfaginning’, consists exclusively of retellings from the myths. 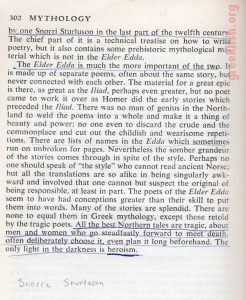 The little that I have read thus far of Snorri Sturluson’s life, his work, and his contribution to literature have rekindled my interest in Norse mythology and it’s all thanks to a decades-old reader’s note in a thrift store book. 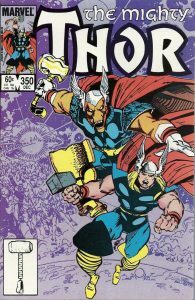 Whether my future readings simply take me back to mid-80s editions of The Mighty Thor or to an effort to approach more serious works, such as the Prose Edda or Heimskringla is yet to be determined. “Snorri Sturluson,” New World Encyclopedia. Crossley Holland, Kevin. 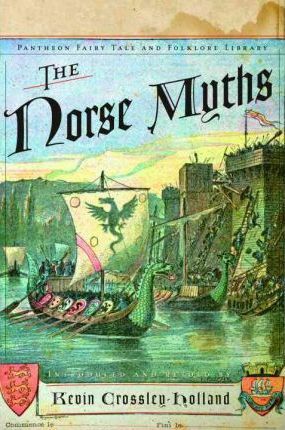 The Norse Myths. New York: Pantheon Books, 2007. Reproduced via Fair Use. “Thrymskvitha: The Lay of Thrym.” Internet Sacred Text Archive. 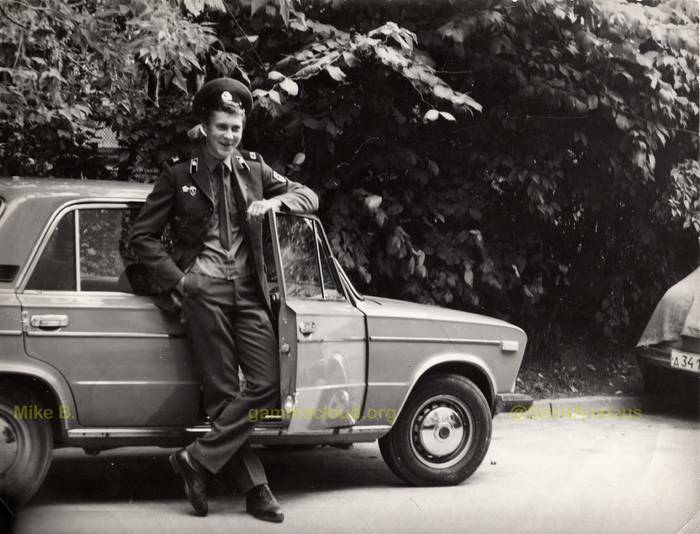 The photo below is a wonderfully candid image of what appears to be a Soviet soldier returning home on leave. I acquired it from a seller in the former Lithuanian SSR who specializes in Soviet-era antiques and ephemera. There are no dates or identifying information on the photo itself, but some online research yields a few clues: First, the uniform is either from the so-called “Modernized” era of 1969 to 1987, or from the “End of Empire” era of 1988 to 1991. The “CA” on his epaulettes indicates he was in the Soviet Army’s infantry, and there are no stripes on the board, meaning he was a private at the time. The shield-like badge near his collar has a “2,” on it, making it a second-class proficiency badge for enlisted soldiers. The Opel that he’s leaning against looks to be from the 1980s. The different facets of the image are intriguing in and of themselves and they are complemented by the warm sentiment visible on this young soldier’s face. 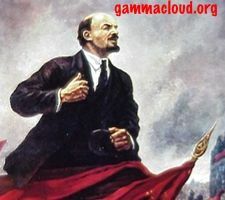 But the historical value of the picture is greater than the individual curiosities of his uniform and surroundings, because the photo captures a moment in time from a place that no longer exists on any map: the USSR. As far as I am aware, this photo is hitherto unpublished. “Yes, It Really Happened” is Suicide Dive’s weekly throwback to weird, lesser-known angles and stories from the past. We’ll revisit some of these not-so-classic moments of yesteryear, providing links, pictures and videos along the way. Got an idea for a future installment? Leave a note in the comments section below. Wally George was the ultimate “right fighter” of his day, taking on any and all subjects he deemed improper. He hosted adult film stars, metal and punk rockers and—somewhere along the way—he turned his attention to the world of pro wrestling. It’s worth noting that back in those days, it was an open secret that wrestling was scripted and predetermined. Even more importantly, wrestling was absolutely on fire and on the rise as a pop culture institution and Hulk Hogan was the face of the business. Wally wasn’t having it, though, and in his eclectic cavalcade of guests he included wrestlers of all sorts, including macho heels, Amazonian women, and even a mud wrestler or three. Later in their discussion (which was really more of a yelling match), Wally took some shots at Ripper, openly questioning the legitimacy of his work inside the squared circle. Wally also welcomed gargantuan female grappler Queen Kong — better known to some via the moniker Matilda the Hun — to his show, and in a particularly antagonistic interview, he declared her to be “a disgrace to womanhood” as his peanut gallery chanted, “Sick! Sick! Sick!” For her part, Kong dismissed Wally as a “wimp” and ridiculed his audience relentlessly. At one point, Wally asked Quennie if she could go toe-to-toe with Hulk Hogan and she replied that she’d have been up for the challenge for sure. “When Hulk Hogan got through with you, maybe you’d look like half a woman again,” Wally quipped. Of course, a healthy amount of all Wally’s material was shtick and theatrics. In fact, he even made a cameo in the 1985 cult classic Grunt! The Wrestling Movie. As his career progressed, Wally George’s television escapades actually came to resemble the world of pro wrestling without the confines of turnbuckles and ring ropes. He even staged a back room brawl with disc jockey Rick Dees during their lengthy public feud. Nowadays, WWE does a decent job of transitioning real world celebrities into the the confines of their parallel universe, albeit for very short periods of time. 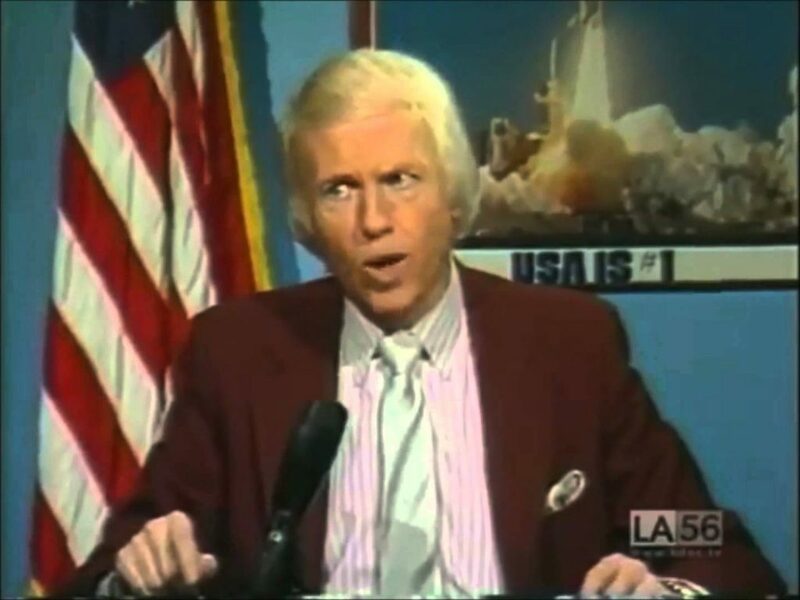 But the peak of Wally George’s fame came at a different time, when kayfabe was reality and folks didn’t think too hard about that nebulous place where sports and entertainment overlap. Sorting through another set of 35 mm slides featuring photos taken by a world traveler from days past, I have discovered a few more images of the USSR from the Brezhnev Era. The pictures below are from an unpublished private collection. 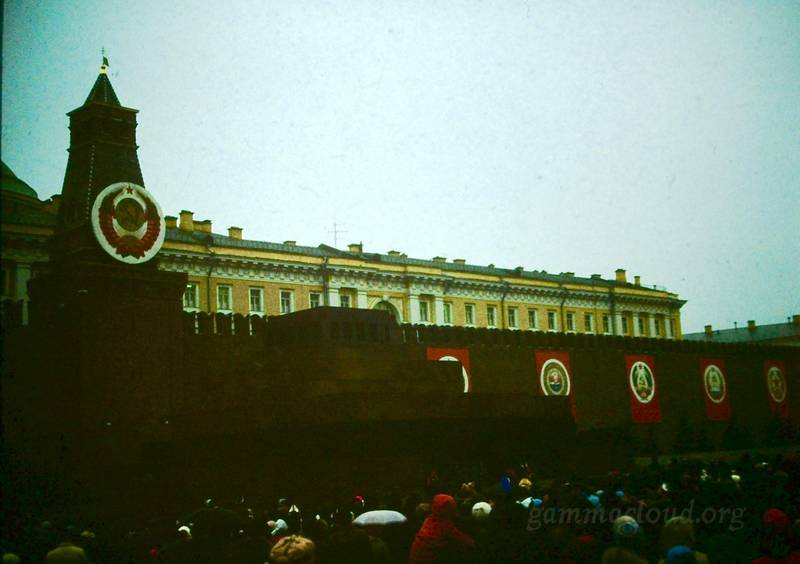 Judging from the dates on the slides and the decorations on the Kremlin Wall, these photos appear to have been taken during a celebration of the Great October Socialist Revolution in November 1981. These images were produced using a Wolverine F2D-8 slide & negative scanner. 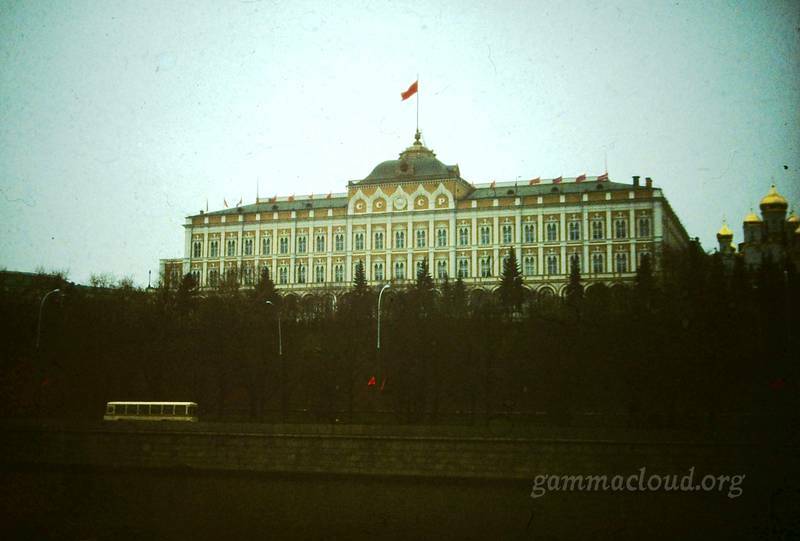 The Red Banner of the USSR atop the Grand Kremlin Palace. The Grand Kremlin Palace. Note the flags of Soviet Republics on the lower portion of the roof. 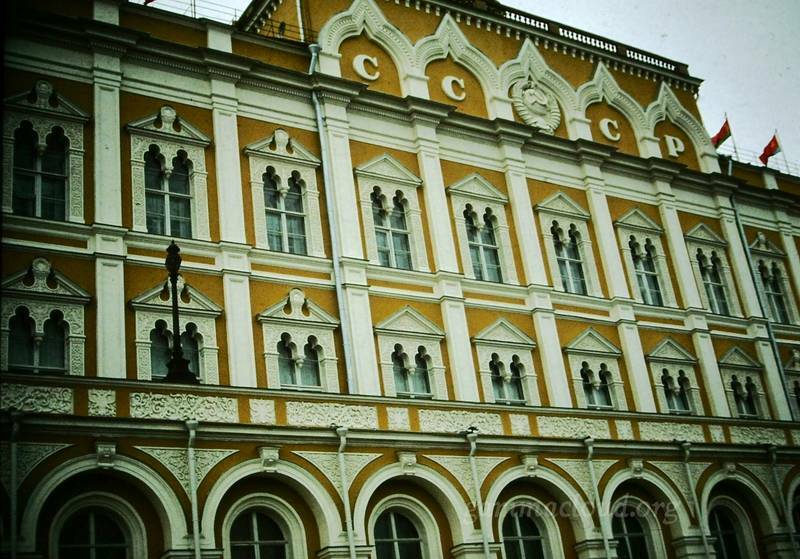 The “CCCP” and Soviet State Emblem were removed in 1991. The Lenin Mausoleum with ceremonial decorations on the Kremlin Wall.